Innovation is an integral component of driving organisational success. When implemented in an interconnected and systematic way, it delivers both economic growth and business benefit. Disruptive innovations are redefining businesses and reshaping economies. It is therefore important to understand the interconnectedness of ecosystems that help to define “where to play” to create game-changing opportunities. What does innovation mean to you? And what are your innovation goals? What is the relationship between IP, R&D, Innovation and Growth? How to position yourself as an industry leader or a fast-follower in innovation? What are your most recent innovation successes? How well is innovation rewarded in your organisation? How do you measure innovation contribution to business performance? How do you rate your organisation’s understanding of customer needs and adjacent markets? How effective are your innovation outcomes in relation to your competitors? How do you benchmark your innovation process? What prevents innovation in your organisation? You will be introduced to a range of tools and techniques and shown how, when and where to use them to achieve optimum results from innovation. This programme is appropriate for managers and decision makers from any industry who want to improve their organisation's capacity to formulate and implement innovative strategies. It is equally suited for professionals from established companies who want to develop new revenue sources or from start-ups launching new offerings. While no specific training is required, participants should have a basic understanding of management principles. Learning materials, lunch and refreshments will be provided. Upon completion of the programme, participants will be eligible for the Certificate of Professionalism in Innovation Practice. 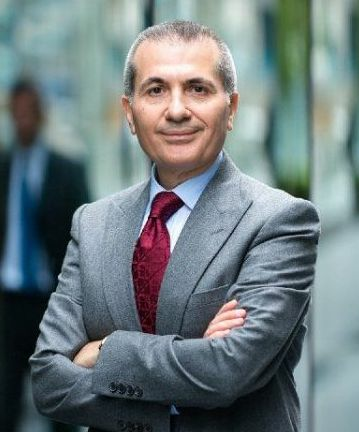 Professor Medhat is Chief Executive of the Institute of Innovation and Knowledge Exchange where he helps businesses and academic institutions develop effective strategies for growth. Medhat is a Trustee of the STEM Foundation, a Visiting Professor to University of Suffolk, a Visiting Professor to the University of St Mark & St John, a serial entrepreneur, a business innovator, and an inventor with patents and extensive publications and books worldwide. Medhat sits on the boards of a number of international companies and colleges. He has worked in business, education and policy and has a unique perspective on what makes an organisation really innovative. Medhat has an established reputation for driving forward ideas and making things happen. Former roles include Vice President of NASDAQ technology company, IBM Professor of Concurrent Engineering, Intergraph Professor of Electronic Design Automation, founding Principal & Chief Executive of the University of Dubai, Director of the Engineering and Technology Board, Governor of Activate Learning (a group of colleges in Oxfordshire and Berkshire). He holds a PhD and Master degrees in engineering and technology and is a fellow of a number of royal chartered professional institutions in technology, management and marketing. Medhat will be supported by members of the innovation faculty in the delivery of this programme. We will contact you if you qualify for attendance on this course and there are seats available. A course payment request will then be issued to you accordingly. Thank you. "This course identifies clearly the right tools and processes for innovation. It provides the right mix of business insights and marketing to drive innovation." "A thought provoking experience which provided the tools and skills to drive innovation in my organisation." "This training course is one of the best business training sessions I have taken so far. I have a clearer and better understanding of innovation and learned the tools and processes. More importantly, I now understand that innovation can be learned and trained. Thank you very much for enlightening us with your insights." "Essential course for all innovators – from start-ups to big businesses. Excellent training from the UK professional innovation body"
"Excellent course which I wish I had attended two years ago!" "Excellent Course, very useful information.”"
"Brilliant course, which will help me justify and bring innovation to our organisation in a practical way." "Very good in providing insight to implement an innovation framework with useful tools and measurements." "Excellent course. Really enjoyed it!"